Associate Professor Jane Dixon is Honorary Senior Fellow at the National Centre for Epidemiology and Population Health, Australian National University. For 15 years, she has been conducting research at the intersection of sociology and public health, with a focus on the cultural, social and health impacts of food system transformations. Prior to this research track she was national coordinator of the Health Inequalities Research Collaboration, helping to establish the International Society for Equity in Health and Australia21, an innovative agenda-setting organisation. During the 1980s and 1990s she held academic teaching and consultancy positions. 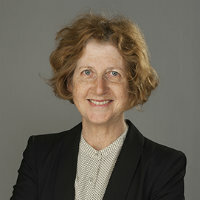 In recent applied research, she has been an advisor to the WHO Western Pacific Regional Office and has served the International Union of Health Promotion and Education in two capacities: membership on their Global Working Group on the Social Determinants of Health and drafting their Food Systems Position Paper. She has current associations with the University of Sydney’s Charles Perkins Centre Healthy Food System Project Node and the International Institute for Global Health, United Nations University.. Her most recent books are a co-authored book describing how three generations have experienced five major trends underlying changes to diet and physical activity, 'The Weight of Modernity' (Springer 2012), a co-edited collection illustrating the many approaches to studying the cultural determinants of health risks, 'When Culture Impacts Health' (Elsevier 2013) and a co-edited book 'Health of People, Places and Planet: Reflections based on Tony McMichael’s four decades of contribution to epidemiological understanding (ANU Press 2015). She has contributed the entry on food systems for the Oxford Bibliographies of Public Health, OUP DOI: 10.1093/OBO/9780199756797-0151. She is the co-editor of two special symposia for Agriculture & Human Values: Food Regimes Theory (2009) and ‘The changing role of supermarkets in global supply chains: from seedling to supermarket: agri-food supply chains in transition’ (2013). Dr Dixon sits on the editorial boards of Agriculture & Human Values and World Food Policy. Dr Dixon has been studying supermarket commodity chains for more than a decade and is particularly interested in examining their social impacts on food producer communities and the mechanisms supermarkets use ‘to shape the mouth of the community’. She is a member of a large Thai-Australian multi-disciplinary team investigating Thailand’s health transition, with her attention being on the interrelationship between the retail and nutrition transitions. Her work is unified by an interest in the manner by which corporate strategy, government policy and civil society influence cultural trends, and in the resulting social and health inequalities. Banwell, C., Ulijaszek, S. and Dixon, J. (2013). When Culture Impacts Health: Global Lessons for Effective Health Research. Amsterdam: Elsevier Science. Banwell, C., Broom, D., Davies, J. and Dixon, J. (2012). The Weight of Modernity. An intergenerational study of the weight of modernity. Dordrecht: Springer Publishing. Dixon, J., Hattersley, L. and Isaacs, B. (2014). Transgressing retail: Supermarkets, liminoid power and the metabolic rift. In Goodman, M. and Sage, C. (Eds. ), Food transgressions: Making sense of contemporary politics (pp. 131–153). Ashgate: Aldershot. Dixon, J., Banwell, C. and Ulijaszek, S. (2013). When culture impacts health. In Banwell, C., Ulijaszek, S. and Dixon, J. (Eds. ), When Culture Impacts Health: Global Lessons for Effective Health Research (pp. 1–11). Amsterdam: Elsevier Science. Dixon, J. and Banwell, C. (2013). The cultural economy approach to studying chronic disease risks. In Banwell, C., Ulijaszek, S. and Dixon, J. (Eds. ), When Culture Impacts Health: Global Lessons for Effective Health Research (pp. 297–308). Amsterdam: Elsevier Science. Dixon, J., Banwell, C. and Ulijaszek, S. (2013). From local tales to global methodological. In Banwell, C., Ulijaszek, S. and Dixon, J. (Eds. ), When Culture Impacts Health: Global Lessons for Effective Health Research. (pp. 341–355). Amsterdam: Elsevier Science. Dixon, J. and Banwell, C. (2012). Choice editing for the environment: managing corporate risks. In Measham, T. and Lockie, S. (Eds. ), Risk and Social Theory in Environmental Management (pp. 175–184). Australia: Collingwood. Butler, C. and Dixon, J. (2012). Plentiful food? Nutritious Food? In Rosin, C., Stock, P. and Campbell, H. (Eds. ), Food Systems Failure: The Global Food Crisis and the Future of Agriculture (pp. 98–113). Routledge. Banwell, C., Kinmonth, H. and Dixon, J. (2011). The social, cultural and familial contexts contributing to childhood obesity. Global View on Childhood Obesity: Current Status, Consequences, and Prevention (pp. 127–138). Elsevier Academic Press. Ericksen, P., Stewart, B., Dixon, J., Loring, P., Anderson, M. and Barling, D. (2010). The value of a food system approach. In Ingram, J., Ericksen, P. and Liverman, D. (Eds. ), Food Security and Global Environmental Change (pp. 25–45). Hattersley, L. and Dixon, J. (2010). Supermarkets, food systems and public health: Facing the challenges. In Lawrence, G., Lyons, K. and Wallington, T. (Eds. ), Food security, nutrition and sustainability: New challenges, future options (pp. 188–203). London: Earthscan. Dixon, J., Woodman, D., Strazdins, L., Banwell, C., Broom, D. and Burgess, J. (2014). Flexible employment, flexible eating and health risks. Critical Public Health, 24(4), pp. 461–475. doi:10.1080/09581596.2013.852162 . Dixon, J. and Isaacs, B. (2013). Why sustainable and ‘nutritionally correct’ food is not on the agenda: Western Sydney, the moral arts of everyday life and public policy. Food Policy, 43, pp. 67–76. doi:10.1016/j.foodpol.2013.08.010 . Burch, D., Dixon, J. and Lawrence, G. (2013). Introduction to symposium on the changing role of supermarkets in global supply chains: from seedling to supermarket: agri-food supply chains in transition. Agriculture and Human Values, 30(2), pp. 215–224. doi:10.1007/s10460-012-9410-x . Banwell, C., Dixon, J., Seubsman, S.-.A., Pangsap, S., Kelly, M. and Sleigh, A. (2013). Evolving food retail environments in Thailand and implications for the health and nutrition transition. Public Health Nutrition, 16(04), pp. 608–615. doi:10.1017/s1368980012004223 . Dixon, J. and Isaacs, B. (2013). There’s certainly a lot of hurting out there: navigating the trolley of progress down the supermarket aisle. Agriculture and Human Values, 30(2), pp. 282–297. Banwell, C., Dixon, J., Bambrick, H., Edwards, F. and Kjellström, T. (2012). Socio-cultural reflections on heat in Australia with implications for health and climate change adaptation. Global Health Action, 5(1), pp. 19277–19277. doi:10.3402/gha.v5i0.19277 . Li, X., Wang, C., Zhang, G., Xiao, L. and Dixon, J. (2012). Urbanisation and human health in China: spatial features and a systemic perspective. Environmental Science and Pollution Research, 19(5), pp. 1375–1384. doi:10.1007/s11356-011-0718-7 . Proust, K., Newell, B., Capon, A., Brown, H., Browne, C., Burton, A. … Zarufa, M. (2012). Taking a systems approach to human health and climate change in urban environments. International Journal of Environmental Research and Public Health, 9(6), pp. 2134–2158. Edwards, F., Dixon, J., Friel, S., Hall, G., Larsen, K., Lockie, S. … Hattersley, L. (2011). Climate Change Adaptation at the Intersection of Food and Health. ASIA-PACIFIC JOURNAL OF PUBLIC HEALTH, 23(2), pp. 91–104. doi:10.1177/1010539510392361 . Seubsman, S.-.A., Kelly, M., Sleigh, A., Peungson, J., Chokkansapitak, J., Vilainerun, D. … the Thai Cohort Study Team, (2011). Methods used for successful follow-up in a large scale national cohort study in Thailand. BMC Research Notes, 4(166). Furler, J., Harris, E., Baum, F., Dixon, J., Lawless, A., Maceira, D. … Starfield, B. (2011). An International Society and Journal for Equity in Health: 10 years on. International Journal for Equity in Health, 10(1), pp. 11–11. doi:10.1186/1475-9276-10-11 . Strazdins, L., Griffin, A.L., Broom, D.H., Banwell, C., Korda, R., Dixon, J. … Glover, J. (2011). Time scarcity: Another health inequity? Time-Space and Life-Course. Environment and Planning A: international journal of urban and regional research, 43(3), pp. 545–559. Dixon, J. (2011). Diverse food economies, multivariant capitalism, and the community dynamic shaping contemporary food systems. Community Development Journal, 46(Supplement 1). doi:10.1093/cdj/bsq046 . Isaacs, B.A., Dixon, J. and Banwell, C. (2010). Fresh market to supermarket: nutrition transition insights from Chiang Mai, Thailand. Public Health Nutrition, 13(06), pp. 893–897. doi:10.1017/s1368980009993260 . Isaacs, B., Dixon, J., Banwell, C., Seubsman, S.-.A., Kelly, M. and Pangsap, S. (2010). Imitation, adaptation and mutation: Fresh market and supermarket conventions in Thailand. Journal of Sociology, 46(4), pp. 413–436. Dixon, J., Omwega, A.M., Friel, S., Burns, C., Donati, K. and Carlisle, R. (2007). The Health Equity Dimensions of Urban Food Systems. Journal of Urban Health, 84(S1), pp. 118–129. doi:10.1007/s11524-007-9176-4 . Dixon, J. (2004). Exploring the intersectoral partnerships guiding Australia's dietary advice. Health Promotion International, 19(1), pp. 5–13. doi:10.1093/heapro/dah102 . Dixon, J. and Welch, N. (2000). Researching the Rural-Metropolitan Health Differential Using the ‘Social Determinants of Health’. Australian Journal of Rural Health, 8(5), pp. 254–260. doi:10.1046/j.1440-1584.2000.00327.x .